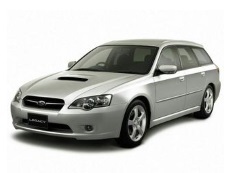 Correct Wheel Sizes, PCD, Offset, Rims and Tire specs for Subaru Legacy series. I have 4 brand new 205x65 r15 Dunlop 300 e tyres and hope they will fit my Suba. 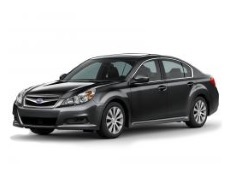 I own a 2010 Subaru Legacy 2.5i. Stock wheels and tires are p205/60/16.5, whats the widest 18" wheel and the max-lowest offset I can go without rubbing? Thanks! I have a 1994 Subaru svc with standard 16 inch wheels in a poor state any ideas re straight swop with no spigots etc? 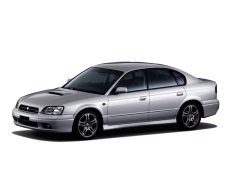 Hi.I own a 2000 Subaru Legacy sedan and I'm wondering if 225-40-18 wheels with ET 45 will fit. Or will they be scraping/touching against something. 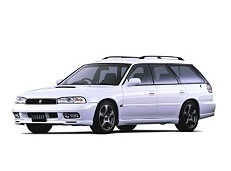 Trying to find out if a 245/45 r17 would fit my 1999 jdm legacy b4 rsk? 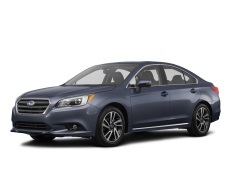 As of 2015, the Subaru Legacy uses a 5x114 bolt pattern, not 5x100. Got a 2004 Legacy standard wheels are 215/45/R17 I would really like a higher profile tyre what would be the highest I could put on it? i have the very same issue,mine is a 2009 215/45/R17..did you get it sorted ? 1999 B4 RSK...whats the biggest tire and rim i can fit? 18x8 w 235mm? I have a 2013 legacy with 16 inch wheels can i put a bigger wheel like 17 18 inch wheels ? 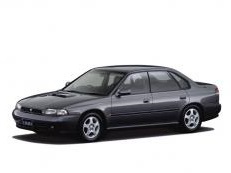 I just bought a 1996 Legacy L and was hoping to get slightly larger tires on it. I want it to be a little taller without messing with struts and all that jazz. If it is affordable and effective to get new larger wheels however I would consider it. Can someone help me to understand what I can fit most effectively? The manual states that stock tires are P185/70 R1487S. Hi,Jess,If you just want slightly larger tires for your car,you needn't to put new bigger wheels,just need to use high flateness ratio tires.Like 175/75/14.And if you want more,You can try to considering buy 15''-17'' wheels and tires.wheels size like 15*5.5, 5*100,ET 55 Tire size like 195/60R15. Hey I just bought a new set of rims and tires for my 01 legacy they're 205 55 16 from an outback. Will they work? Hi,Dave,Both the wheels and tires can fit for your car. Can 215/55/17 tyres fit on Legacy BG5? Hi,ROMUALD OMONDI,no.it is not compatible. Hi,Dario,Yes,the tire can fit for your car. 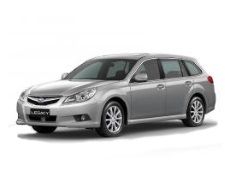 hello..i have a subaru legacy gt 2009 hatchback..i would like to change the tyres and rims.currently its a 215/45R17 91W this is written on the tyre..at the drivers door its 215/45R17 87W and T135/70D17 102M...Okay i do not know what any of these mean but i need to change my low profile tyres asap.i want large tyres.please advice.thank you.also can rim size 16 meet my needs ? Hi,Nelly,Your tire size is 17'',If you want bigger tire,size 16 is lower than your current tires size.Do not suggest that you take it.you can try 18'' tires,tire size like 215/45/18.Also,If you want 18'' tires,You also need a set of 18'' rims.And I think you may have other questions,If so,Leave your meassage in there. i just commented above..im told thesize 16 rim is from a legacy BP5 model.will it be compatible ?..on a legacy 2.0 gt 2009,hatchback.what other options do i have? Hi. I have Legacy SW 2010 EUDM with 205 60 16 ET48 and I want to put on 215 50 17 with smaller ET35. It will rub? Hi,Dean,It may be rub the caliper.Do not recommend you to do that. 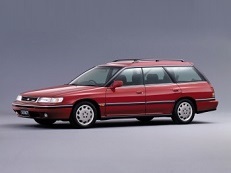 I have a 99 outback with15" wheels can I use 16" wheels from a 2001 outback? Hi! 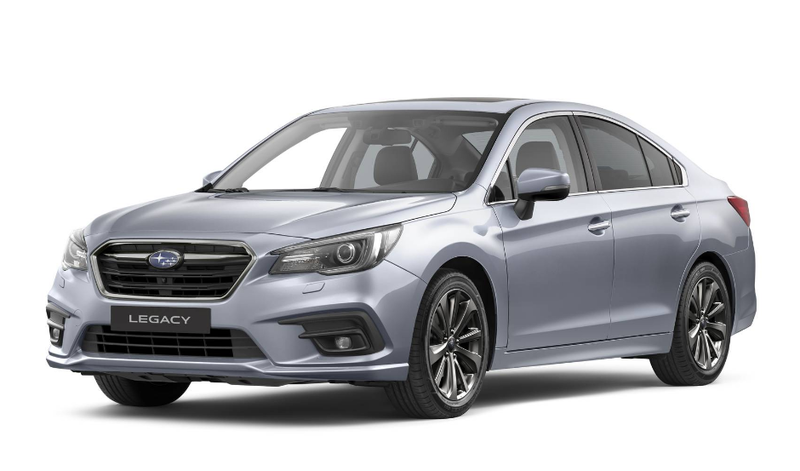 I have a '93 Subaru Legacy AWD hatchback. Would R205/70R15 95S Yokohama all season tires work? Will a 2006 Acura TL custom rims 17" fit on a 2017 Subaru Legacy 17"
Hi,Eric,No,they have different bolt pattern. Hi,edgaras drozeanu,The legacy have different bolt pattern with audi car wheels.So,if you truelly want to use adapter you can find 5*112. 2005+ USDM Subaru Impreza WRX STI wheel bolt pattern is 5x114.3. Its listed as 5x100. The 2004 model is 5x100. And the 03-14 WRX models are as well. But the STI is 5x114.3. Thanks. Hi, Brandon,Will update it as soon as possible. I have a 2004 subaru outback tire size 225x60 R 16 Can I change to 17 inch rims and run the same size tire. Hi,Jace,no,you can use 17'' rims,but also need to change 17'' tires. Hi I have a legacy 2013. 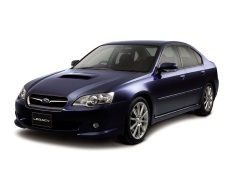 Dear all, I have 2006 Subaru legacy B4 Sport, The tire size are 215/45Z17. I am asking if I can use tire size 215/55R17 as alternative to lift the vehicle some inches up? Hi, JAMES KWEKA,No,these two tires are not compatible. I have a set of 4 snow tires (205/70-15) on Subaru Legacy rims (6x15) that I would like to sell, I know that they will fit the Legacy Outback up to '99 but would they fit other Subaru models as well? I see that this tire size was also used on certain Forester models from '97 to '07. Thanks for any information! 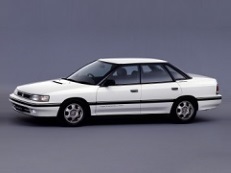 Hi,Louis Corrado,what the year of your car.I can help you compare with others subaru models. 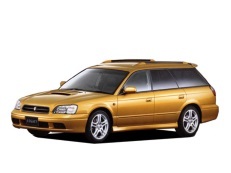 I have a 99 Subaru legacy outback will it fit a 225/45/18? Hi,Ricky Near,What your current tire size?I can help you confirm it.